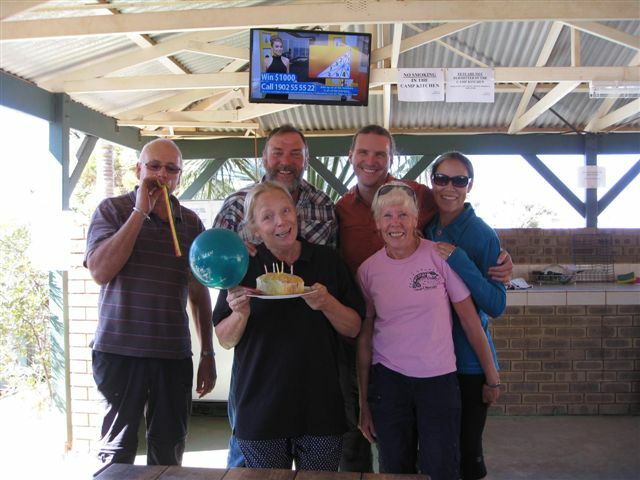 Before we left Kalgoorlie, we met our friends in a different caravan park for birthday cake to celebrate Sandra a little more before we all parted ways. We were going to miss our Australian friends. We continued to drive south with the goal of making it to Esperance. We noticed that the scenery started to change from dry to more lush and green. We appeared to be heading into agricultural land. We made it to Cape le Grand Campground just as the sun was setting. 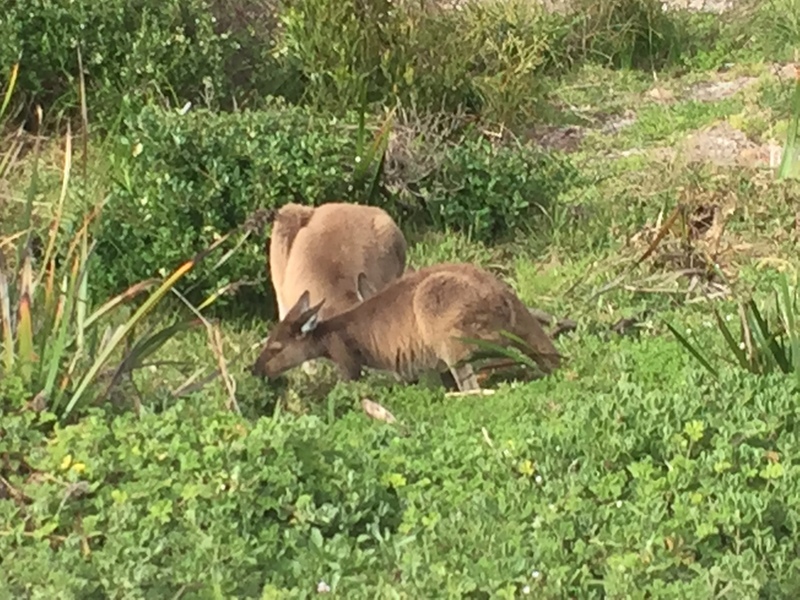 As we pulled into our site, we noticed two kangaroos grazing in our site. We watched them for some time until they decide to leave us. I am still so enamored by them. They are such interesting creatures. This was a lovely campsite, just over the dunes from the ocean. They have clean bathrooms with running water and a camp kitchen in a central location. The moon was almost full tonight and Ryan attempted to get some GoPro moon shots, sadly without success. 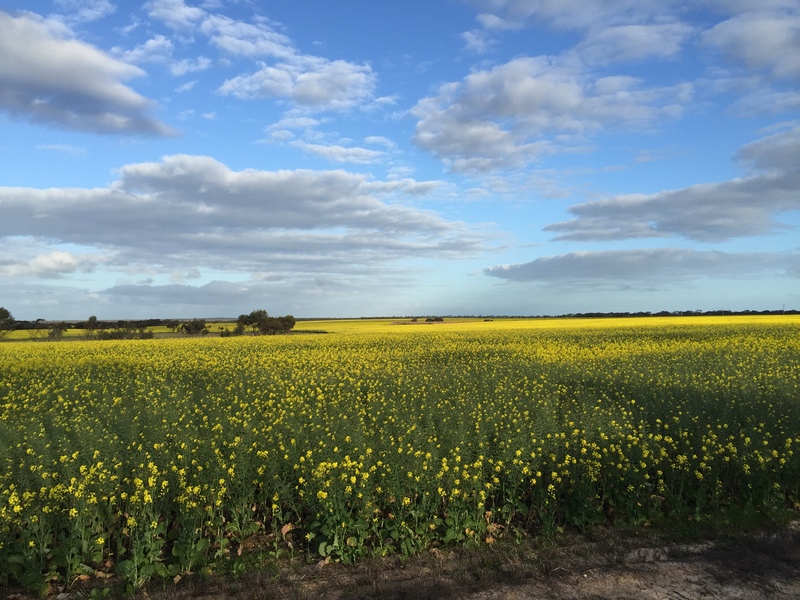 This entry was posted in Australian Travels and tagged Australia by admin. Bookmark the permalink. Copyright © 2019 Come, OverlandWithUs… All Rights Reserved.